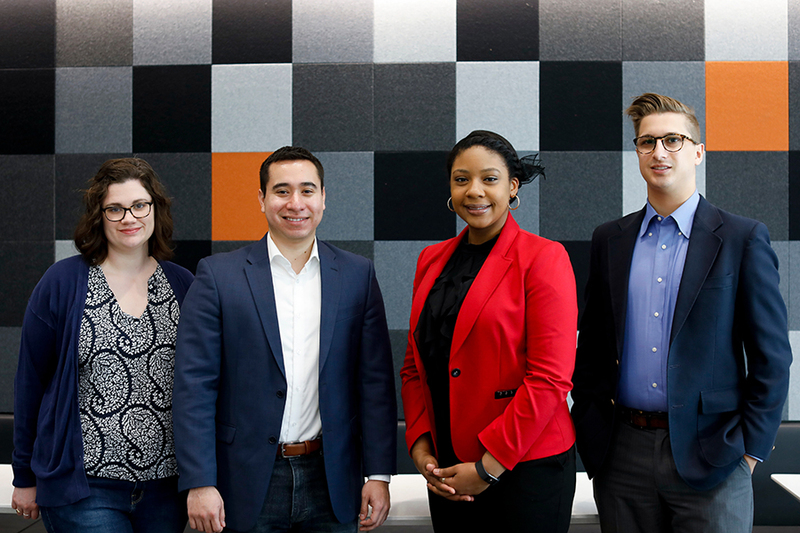 Bowen (JD ’17) will join Start Small Think Big, a New York City-based nonprofit that provides legal, financial, and marketing services to low-to-moderate-income entrepreneurs to build businesses in underserved areas. “This is in Harlem, the neighborhood where I grew up, and just seeing all the developments in the law and in the city will be one of the biggest takeaways that I’ll have from this fellowship,” Bowen says. Delgadillo (JD ’17) will be working with the DC Volunteer Lawyers Project on domestic violence cases and on juvenile cases as a guardian ad litem. Dutt (JD ’17) will join the Hennepin County Public Defender’s office in Minneapolis, where he previously worked during his 2L summer. Hogg (JD ’17) will be working for the legal office of Kentucky Refugee Ministries in Louisville where she’ll serve both refugees and a broader immigrant population. The Northwestern Law Post-Graduate Fellowships were created to help address the mismatch between demand for services and supply of talent. While there is a tremendous need for legal services in the public interest sector, there is a shortage of opportunity because of the lack of adequate financing. As a result, entry-level positions for public interest-minded recent law school graduates are scarce. If you are interested in learning more about the post-graduate public interest fellowship program or supporting a fellowship, please contact Alan Paberzs, Director of Development, at (312) 503-0707 or a-paberzs@law.northwestern.edu.